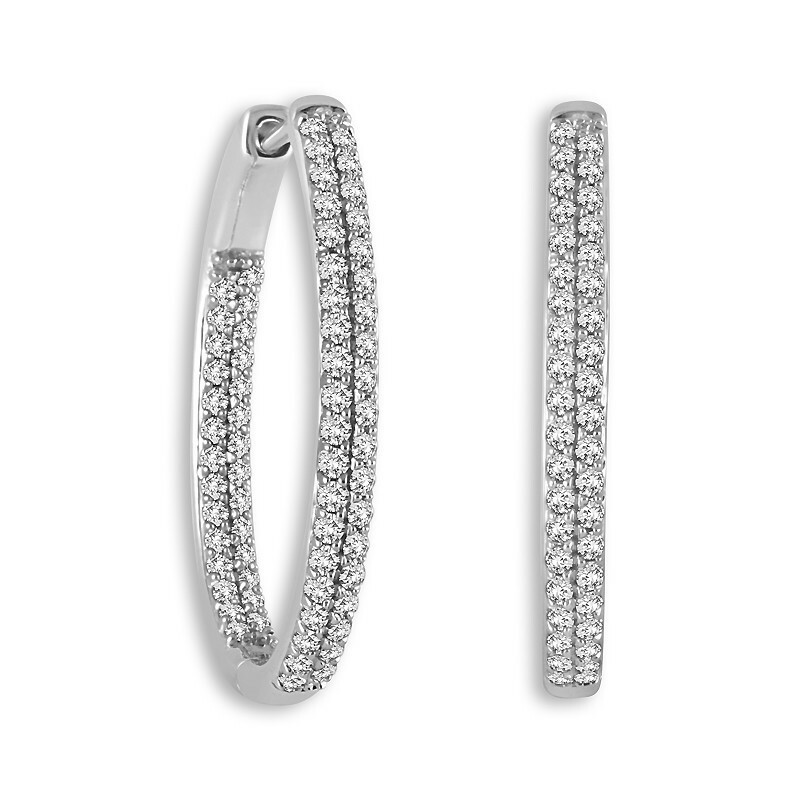 These stunning diamond earrings with a full carat weight are beautifully set with diamonds on the inside and outside so they sparkle from every angle. The rows of diamonds accentuate and enhance the finely cut precious stones and the overall creative design. Any woman will enjoy wearing these for any occasion or event.